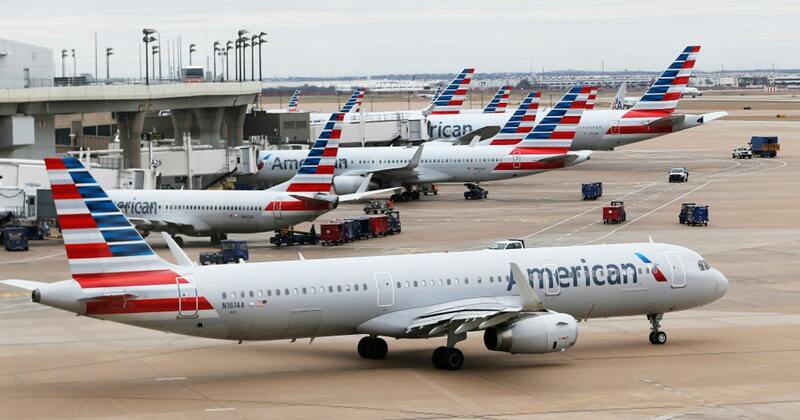 U.S President Donald Trump officially announced a temporary ban of Boeing 737 Max Flights. President Trump announced on Wednesday that the US would temporarily ban all Boeing 737 Max 8 and 9 jets from flying, following nearly every country in the world that has ordered that the airplane is grounded since the deadly crash in Ethiopia on Sunday. More than 40 countries have grounded the 737 Max 8 after it was involved in two deadly crashes, one in Indonesia last October and the more recent one in Ethiopia. Last October, Lion Air Flight 610 crashed off the coast of Indonesia, and all 189 passengers on board were killed. That investigation is ongoing, but it has focused on Max 8’s stall-prevention system, apparent maintenance lapses, and potential pilot error. The cause of the Ethiopian Airlines crash last Sunday is unknown, but investigators have recovered the flight and data recorders. The Ethiopian Airlines crash killed 157 people. In incident reports that surfaced this week, pilots had reported that the Max 8 jetliner would tilt suddenly after takeoff, among other concerns. But Boeing has said it still has confidence in the 737 Max 8. In a new statement on Wednesday, Boeing reiterated that point, while also saying it supports the decision to ground its planes. The company’s statement appears to frame it as an internal decision made in collaboration with the FAA and the National Transportation Safety Board, even though Boeing CEO Dennis Muilenburg has reportedly lobbied Trump personally to allow the Max 8 jets to continue to fly. Toyota's lunar rover will be self-driving and use zero-emission electric fuel cell technology. JAEA. 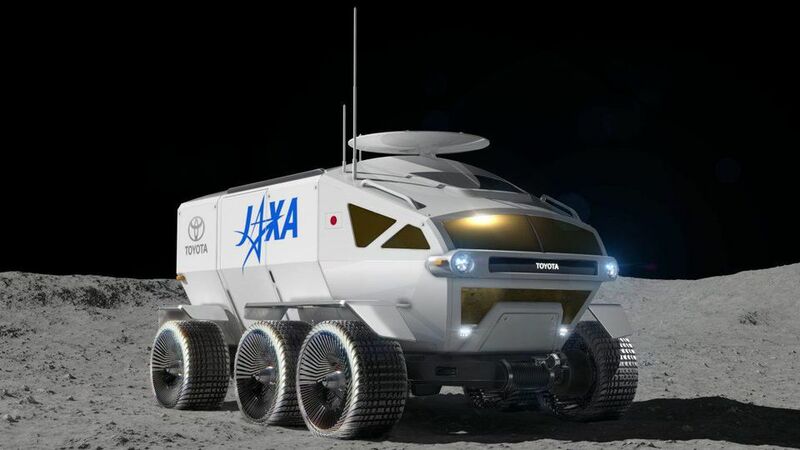 Toyota reveals 'Self-Driving Electric Moon Car' as Japan prepares to land Astronauts on the Moon. 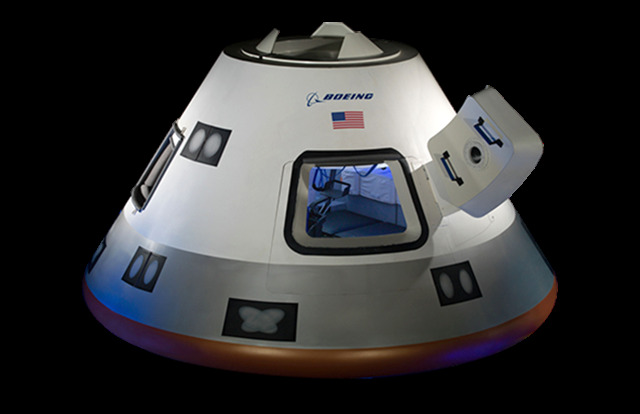 Japan is planning a moon landing for 2021 and to put a human on the martian world by 2029 and wants its astronauts to explore the lunar surface in a vehicle built by Japanese automaker Toyota. The Japan Aerospace Exploration Agency (JAXA) and Toyota announced Tuesday that it will collaborate on international space exploration, specifically on developing a manned, pressurized rover that uses Toyota's fuel cell vehicle (FCV) technologies. “Manned, pressurized rovers will be an important element supporting human lunar exploration, which we envision will take place in the 2030s, " said Koichi Wakata, JAXA Vice President. "We aim at launching such a rover into space in 2029." JAXA, which earlier this month landed its Hayabusa2 probe on the asteroid Ryugu, is hoping the collaboration with Toyota will "give rise to intellectual properties" needed for international space exploration. 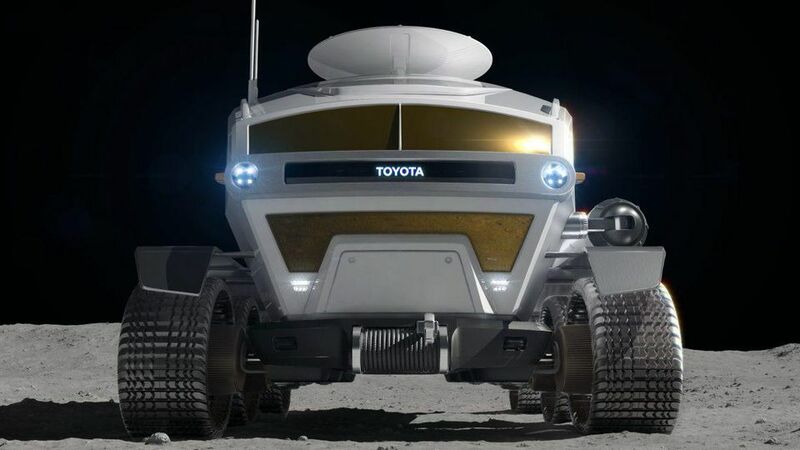 Toyota's concept for a Lunar Rover will travel 10,000km. Japan Aerospace Exploration Agency. An FCV is a type of electric vehicle that, instead of using a battery, uses a fuel cell of oxygen and compressed hydrogen, which react with each other to generate electricity. The zero-emissions technology is already used on Toyota's Mirai vehicle. “Fuel cells, which use clean power-generation methods, emit only water, and, because of their high energy density, they can provide a lot of energy, making them especially ideal for the project being discussed with JAXA," said Shigeki Terashi, Executive Vice President at Toyota. He also mentioned that Toyota's automated driving technologies were part of the project. 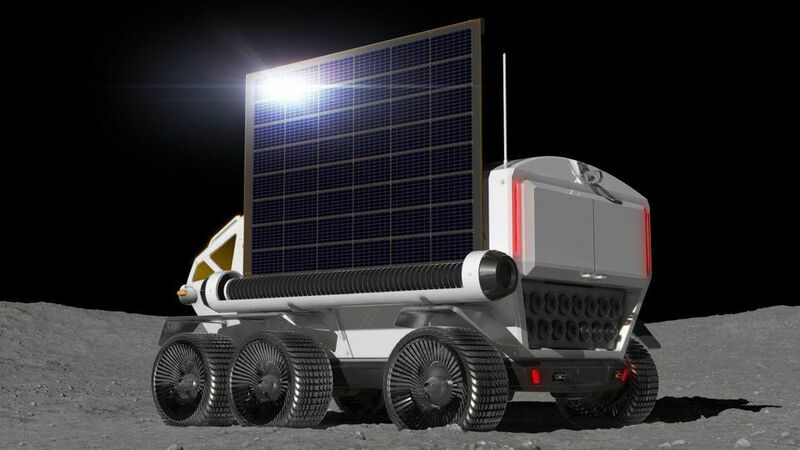 The lunar rover will also have solar panels, which lasts two weeks and will be used for energy. Although the amount of fuel that could be taken to the moon would be limited, said JAXA and Toyota, the pressurized rover would have a total lunar-surface cruising range of more than 10,000 km. However, Toyota’s ‘space mobility’ concept for the pressurized rover being studied by JAXA and Toyota is pretty small. It envisions a 6 meter by 5.3-meter vehicle standing 3.8 meters tall. That's enough room for two people, say JAXA and Toyota, or four in an emergency. Toyota and JAXA also revealed that they have been jointly studying the concept of a manned, pressurized rover since May 2018. The moon presents some special challenges for any vehicle. 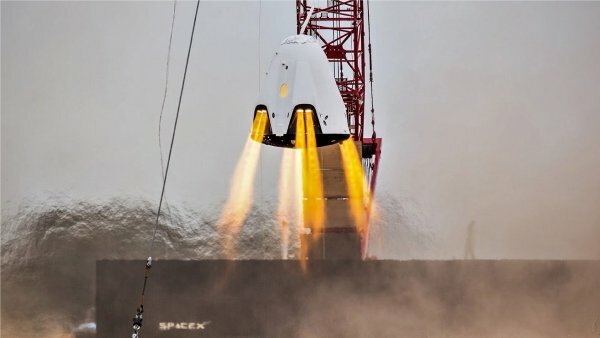 Ispace's HAKUTO-R mission will be launch on a SpaceX rocket in 2020 to orbit the moon and be followed by a mission to land on the surface in 2021. Photograph: HAKUTO/ISPACE. Gravity is one-sixth of Earth's, and the lunar surface is pocked by craters, cliffs, and hills. 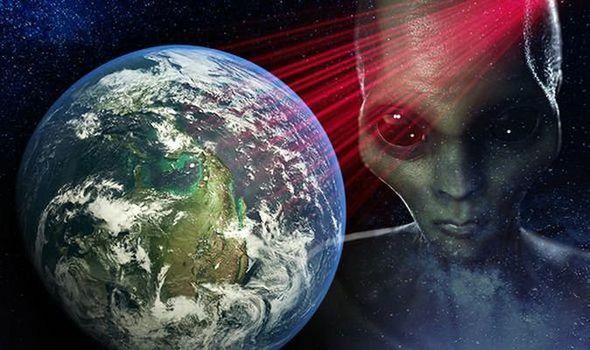 "It is exposed to radiation and temperature conditions that are much harsher than those on Earth, as well as an ultra-high vacuum environment," said Wakata. "For a wide-ranging human exploration of the moon, a pressurized rover that can travel more than 10,000 km in such environments is a necessity." Wakata also stressed the need for a 'Team Japan' approach to space exploration. That's a message that appears to be finding favor. Japan Airlines-backed startup ispace last month announced that its HAKUTO-R mission will orbit the moon in 2020 ahead of a mission to land on the surface in 2021. 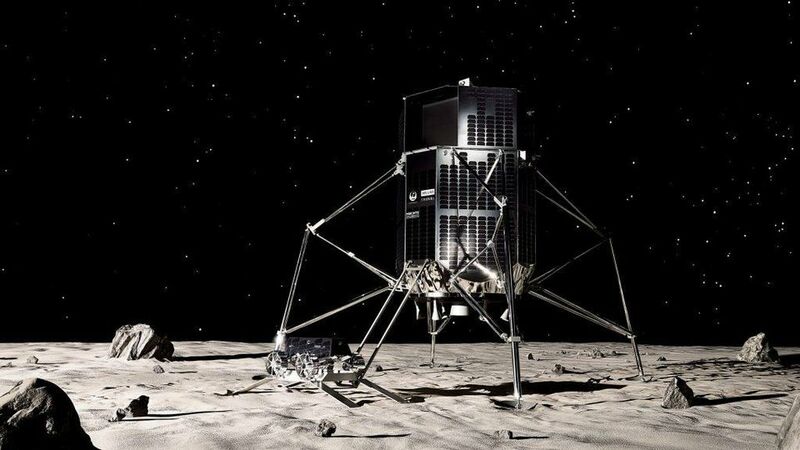 A finalist in the ill-fated Google Lunar XPRIZE, ispace plans to map, and eventually recover, water ice on the moon and learn how to use it as a resource. If it can separate lunar water into hydrogen and oxygen, it could provide fuel for Toyota's moon buggy, as well as for a self-sufficient moonbase, and even rockets. Aside from Japan Airlines, HAKUTO-R's corporate partners include Japanese national daily newspaper Asahi Shimbun and Japan NGK Spark Plug, which wants to test solid-state battery technology on the moon in 2021. 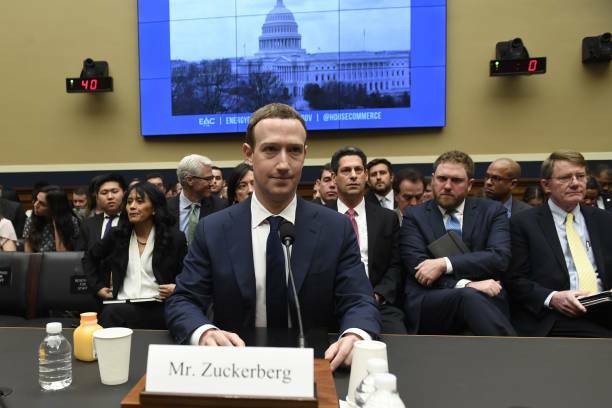 Facebook CEO and founder Mark Zuckerberg testify during a US House Committee hearing about Facebook-Data Analytica at Capitol Hill in Washington, DC on 11 April 2018. Photo: SAUL LOEB. Mark Zuckerberg wants to make Facebook less like a town square, and more like a living room. So he declares in a massive blog post earlier this week, a winding read on Facebook’s potential for change and the future of the internet altogether. After building a multi-billion-dollar business on the idea of open sharing, Facebook is ready to become a more private, intimate kind of social network. You can read the full 3,200-word blog post here, but we’ve broken down the key points of Zuckerberg’s plant below – as well as their potential pitfalls. The gist of it? Make Facebook more like WhatsApp. Early on in the missive, Zuckerberg says: “In a few years, I expect future versions of Messenger and WhatsApp to become the main ways people communicate on the Facebook network.” The idea that the intimate space of messaging is the future of social networks permeates the entire post – a bit ironic considering how long messaging has been around for. Still, you can expect Facebook to place a higher emphasis on private conversations. 'Delete Facebook' appear on phone screen in German on 01 June 2018. Photo: Fabian Sommer. While broader social networks have their place – Zuckerberg cites finding communities, fundraisers, and growing businesses as examples – the focus should be on private interactions. While sharing on Facebook initially felt like posting something on a bulletin board for friends and family to see, recent scandals have shown us the consequences of public sharing. Now, Facebook plans to make it faster, easier, and safer to interact privately with friends, groups, and businesses. Encryption: Zuckerberg says “People expect their private communications to be secure and to only be seen by the people they’ve sent them to — not hackers, criminals, over-reaching governments, or even the people operating the services they’re using.” For this, Facebook needs end-to-end encryption throughout its services. Once again, WhatsApp is the poster child. Zuckerberg notes how government “often make unlawful demands for data,” and how encryption has at times saved the lives of dissidents. At the same time, encryption makes it more difficult to catch bad people doing bad things, so the company is exploring ways to detect patterns of activity or use other means to catch bad actors even with encryption. Still, he acknowledges that Facebook “will never find all of the potential harm” it can now when security systems can see the messages themselves. 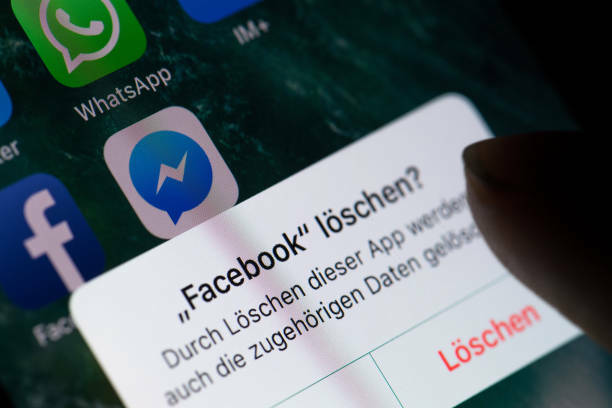 While Facebook plans to encrypt all its messaging services in the near future, it won’t do so until it’s discussed out how to stop bad actors with an encrypted system. Make posts disappear after a given time: Zuckerberg wants more posts to auto-expire, perhaps after a month or year. Keeping information around for less time naturally makes it less likely to hurt you in the future. That means you might avoid your boss seeing those embarrassing college photos, but it’s a stark contrast to the Facebook that in 2011 basically pitched the ‘Timeline’ profile as a way to view the history of your entire life. Of course, some people want to look at their old photos so Facebook will have to find a way to reduce permanence without eliminating Facebook’s memory lane uses. It could, for instance, automatically hide older posts instead of outright deleting them. Facebook also says it’ll give you the option to choose how long posts stick around for. Make apps work with one another: One of the most annoying things about modern communication is that every other person seems to use a different messaging app. Some people use WhatsApp exclusively. Others use Messenger. Some only text and yet others use Instagram Direct. Zuckerberg wants all of these to work together. This interoperability would allow you to, for example, sell something on Facebook’s Marketplace and respond in WhatsApp without giving away your phone number. It means you could post a story on both Instagram and Facebook and get responses all in one place. On the other hand, it begs the question of why have so many disparate services in the first place. Facebook will not bow to countries with a record on human rights: Facebook won’t build data centers in “countries that have a track record of violating human rights like privacy or freedom of expression.” This makes it more difficult for said countries to access people’s data or punish Facebook employees for not providing it. Zuckerberg acknowledges this approach will lead to its apps being blocked in some countries; Facebook’s efforts to break into the Chinese market come to mind. But it seems now the company is ready to accept it can’t grow everywhere. “That’s a trade-off we’re willing to make,” says the CEO. An open conversation on social media: Zuckerberg admits that a lot of these decisions are still in the early stages and that the company needs to consult with experts, regulators, and law enforcement to strike the right balance between privacy and openness. It’s a dramatic reversal from the company Facebook was two years ago, but Zuckerberg says he’s committed to change: “I understand that many people don’t think Facebook can or would even want to build this kind of privacy-focused platform — because frankly we don’t currently have a strong reputation for building privacy protective services, and we’ve historically focused on tools for more open sharing. But we’ve repeatedly shown that we can evolve to build the services that people really want, including in private messaging and stories.” Nonetheless, much of the post feels like a retcon. Zuckerberg repeatedly leans on the privacy strengths of WhatsApp, when it’s just one part of the three pillars of Facebook’s massive social media empire. And it’s not without its own security flaws. In the wake of Cambridge Analytica, massive security breaches and more it’s difficult to not be cynical about Facebook’s desire to change. A report by Edison Research suggests the company has 15 million fewer users in the US than it did in 2017. I’d be willing to bet a significant portion of that is due to growing mistrust in Facebook, or at least users not trusting it enough to be worth the hassle. But maybe, just maybe, Facebook does want to change for the better. For all its faults and missteps, Facebook still has an influence on the future of the internet that few can match. Whether it’s turning a new leaf because it has to or has truly had a change of heart, let’s hope Facebook changes for the better. 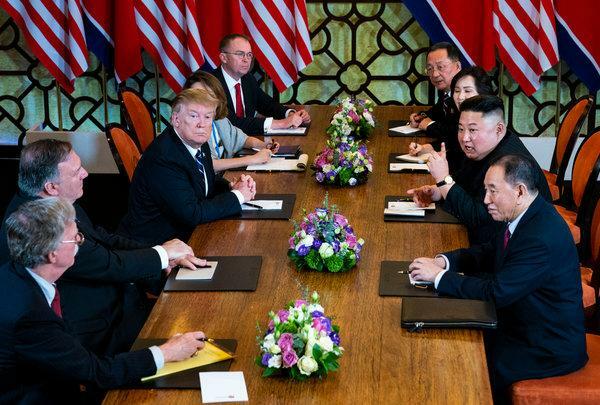 President Trump and Kim Jong-un, North Korea’s leader, ended their second summit meeting early on Thursday at the Sofitel Legend Metropole hotel in Hanoi, the capital of Vietnam. After they failed to agree on workable solution toward lifting sanctions as well as denuclearization the Korean Peninsula. “Sometimes you have to walk,” Mr. Trump said during an afternoon news conference. He said Mr. Kim had offered to dismantle the North’s most important nuclear facility if the United States lifted the harsh sanctions imposed on his nation — but would not commit to doing the same for other elements of its weapons program. That, Mr. Trump said, was a dealbreaker. “It was about the sanctions,” Mr. Trump said. “Basically they wanted the sanctions lifted in their entirety, but we couldn’t do that.” The premature end to the negotiations leaves the unusual rapprochement between the United States and North Korea that has unfolded for most of a year at a deadlock, with the North retaining both its nuclear arsenal and facilities believed to be producing additional fissile material for warheads. It also represents a major setback at a difficult political moment for Mr. Trump, who has long presented himself as a tough negotiator capable of bringing adversaries into a deal and had made North Korea the signature diplomatic initiative of his presidency. Even as the talks began, Mr. Trump’s longtime lawyer and fixer, Michael D. Cohen, was delivering dramatic and damaging testimony in Congress, accusing him of an expansive pattern of lies and criminality. US President Donald Trump (2nd L) and North Korea's leader Kim Jong Un (2nd R) hold a high esteemed bilateral meeting during the second US-North Korea summit at the Sofitel Legend Metropole hotel in Hanoi on 28 February 2019. Photo: Saul Loeb /Getty Images. Before ending the news conference to fly back to Washington, Mr. Trump tried to put a good face on the outcome. “This wasn’t a walkaway like you get up and walk out,” he said. “No, this was very friendly. We shook hands.” “There’s a warmth that we have and I hope that stays,” he added. Mr. Trump said that Mr. Kim had pledged to maintain a halt on nuclear and ballistic missile tests that is now in its 16th month and that the negotiations would continue. But further progress could be difficult now that Mr. Trump has broadcast that he and Mr. Kim have staked out conflicting bottom lines. Both leaders will face greater pressure from hard-line officials in their governments to dig in. For Mr. Trump, facing criminal and civil investigations at home, maintaining public support is a growing concern, while Mr. Kim has long used the nuclear program to justify his government’s totalitarian rule and explain its weak economy. On his flight leaving Hanoi, Secretary of State Mike Pompeo said officials had worked through the previous night and into the morning to come up with terms acceptable to both leaders. “When you are dealing with a country that is of the nature of North Korea, it is often the case that only the most senior leaders have the capacity to make those important decisions,” he said. “We’ll each need to regroup a little bit,” he added. There was no immediate statement from Mr. Kim or the North Korean government. According to the Americans, the sticking point turned on what it would take for the North to begin dismantling a central part of its nuclear program — the Yongbyon enrichment facility. Mr. Kim said he would do so only if all sanctions on his country were lifted. But Mr. Trump and Mr. Pompeo said the North would have to dismantle other parts of its program as well before the United States agreed to such a big concession. 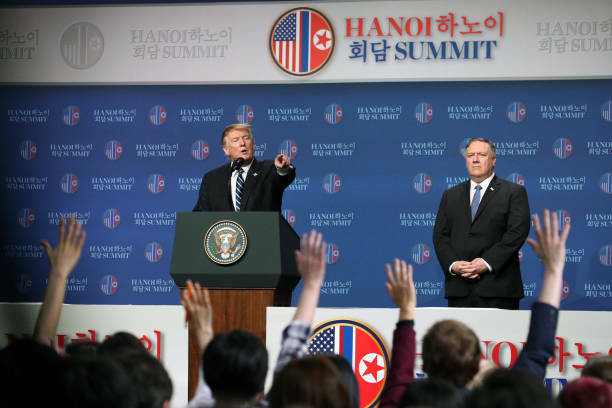 In response to a question, Mr. Trump acknowledged for the first time that his administration was aware of a second enrichment site other than Yongbyon, but it was unclear what role that played in the talks. The United States has long insisted that sanctions will be lifted only after North Korea completely dismantles its nuclear program in a verifiable manner. There was talk before the summit meeting, though, that Mr. Trump might agree to ease sanctions in exchange for initial steps toward denuclearization by allowing joint economic projects between North and South Korea. It was not immediately clear if Mr. Trump made such an offer or how Mr. Kim responded. The collapse of the talks came in the aftermath of withering congressional testimony in Washington by Mr. Cohen. “I think having a fake hearing like that and having it in the middle of this very important summit is really a terrible thing,” Mr. Trump told reporters. Mr. Trump’s news conference was shown at a train station in Seoul, South Korea, on Thursday. The first sign of the collapse of the talks came after morning meetings when White House officials said a working lunch and signing ceremony had been canceled. The White House then issued a statement saying that Mr. Trump and Mr. Kim had “discussed various ways to advance denuclearization and economic-driven concepts” during “very good and constructive meetings,” but failed to reach an agreement. “I worry about the consequences,” said Jean H. Lee, a Korea expert at the Wilson Center, a research organization in Washington. “Did these two leaders and their teams build up enough goodwill to keep the lines of communication open, or are we headed into another period of stalled negotiations — or worse, tensions — that would give the North Koreans more time and incentive to keep building their weapons program?” “This result leaves very little room for Kim to save face,” she added. Officials from both sides had hoped the Hanoi summit meeting would produce more concrete results than the vague communiqué issued by the two leaders after their first meeting last June in Singapore. Since that first encounter, American national security officials have said that denuclearization should be the priority, while North Korea has pushed for the lifting of sanctions and improving relations with the United States and South Korea first. The administration of President Moon Jae-in of South Korea appears to have agreed with Mr. Kim that establishing a more stable peace is the first priority, and it has been moving much faster than the United States in opening up diplomatically to the North. In Tokyo, Shinzo Abe, prime minister of Japan, said he had spoken about the summit meeting’s outcome with Mr. Trump. “I fully support President Trump’s decision not to make the easy compromise,” he said, adding that he was determined to meet Mr. Kim. Thursday morning, Mr. Trump and Mr. Kim kicked off the day by meeting one-on-one at the historic Metropole hotel, where they had had an intimate dinner the previous night. Before the session began, Mr. Trump expressed a willingness to be patient given that the North had suspended missile tests. “I’ve been saying very much from the beginning that speed is not that important to me,” he said. “I very much appreciate no testing of nuclear rockets, missiles.” Mr. Trump also mentioned potential economic growth in North Korea three times in his brief morning comments, saying that the country would become an “economic powerhouse.” The message seemed clear — that integrating North Korea into the global economy would help moderate the country’s behavior. Mr. Trump appeared ready to accept the North’s arsenal if relations improved and it committed to surrendering it in the long term. Mr. Kim, when asked by an American reporter whether he was ready to denuclearize, said, “If I’m not willing to do that, I wouldn’t be here right now” — to which Mr. Trump replied, “That might be the best answer you’ve ever heard.” Mr. Kim also suggested that he would accept an American liaison office in his country. Earlier, the two leaders took a stroll by the pool, then went into the hotel restaurant to chat privately. Separately, Mr. Pompeo met with his North Korean counterpart, Kim Yong-chol, a top Communist Party official and former spy chief. After the talks collapsed, the president said Mr. Pompeo was not satisfied with the terms. Mr. Pompeo has taken the lead in the diplomatic talks and has been more skeptical of Mr. Kim’s intentions than Mr. Trump. Former Israeli minister Gonen Segev escorted to the court in Jerusalem on 26 February 2019. An Israeli court has sentenced a former cabinet minister to 11 years in prison for spying for the country's arch-foe Iran. 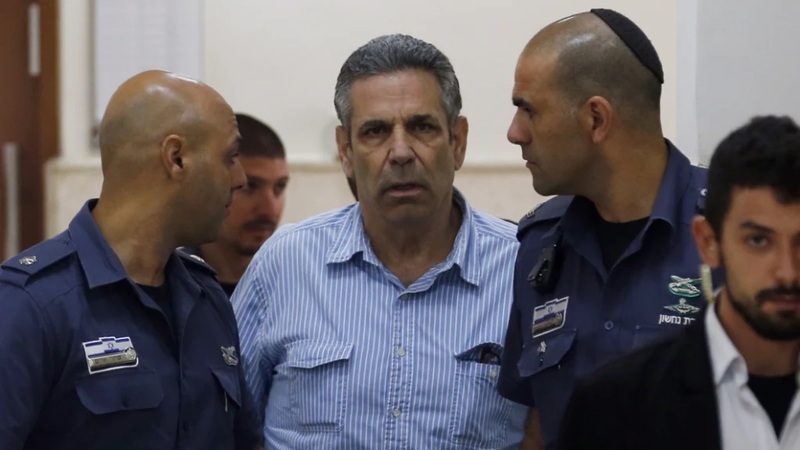 Prosecutor Geula Cohen told journalists outside the Jerusalem court on February 26 that the judge had issued the sentence against Gonen Segev after accepting a plea bargain on charges of espionage and transferring information to Iran. The court hearings had been held in secret due to the nature of the case. Segev, who served as energy minister from 1995 to 1996 under Prime Minister Yitzhak Rabin, was convicted in 2005 of attempting to smuggle 32,000 chocolate-covered ecstasy pills from the Netherlands to Israel. The ex-minister was released from prison in 2007 and has lived in Nigeria for nearly 10 years where he practiced medicine after his license was revoked in Israel, according to The Jerusalem Post. He was extradited from Equatorial Guinea to Israel in May 2018. The Shin Bet security service has said that Segev served as an agent of the Iranian intelligence services and that he visited Iran twice for meetings with his handlers. It said that Segev tried to put Israeli citizens with ties to Israel's security and foreign relations sectors in touch with Iranian agents posing as "innocent business officials." He also supplied Iran with "information related to the energy sector, security sites in Israel, and officials in political and security institutions," according to Shin Bet. Kim Jong-un arrives by train at Dong Dang railway station near the border with China on 26 February 2019 in Lang Son, Vietnam. Photograph: Linh Pham/Getty Images. North Korea's leader Kim Jong-un arrived in Vietnam for the first time on Tuesday as preparations continue for the summit with U.S President Donald Trump in Hanoi later this week to engage in a joint statement after the end of 1950-53 Korean War (1950-1953) while seeing the possibility for Korean Peninsula denuclearization and ending international sanctions against Pyongyang. 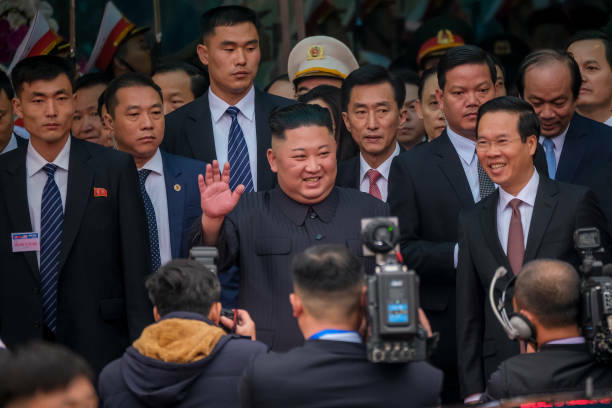 Kim Jong-un has arrived in Hanoi, after transferring from train to car for the final leg of his overland trip to Vietnam where the North Korean leader is scheduled to have a private dinner and meeting with Donald Trump on Wednesday. Kim will meet the US president for a brief one-on-one conversation, followed by a social dinner, at which they will each be accompanied by two guests and interpreters, White House spokeswoman Sarah Sanders said. The meeting between Trump and Kim comes eight months after the historic summit in Singapore, the first between a sitting US president and a North Korean leader, which failed to produce concrete results on a path to denuclearisation. 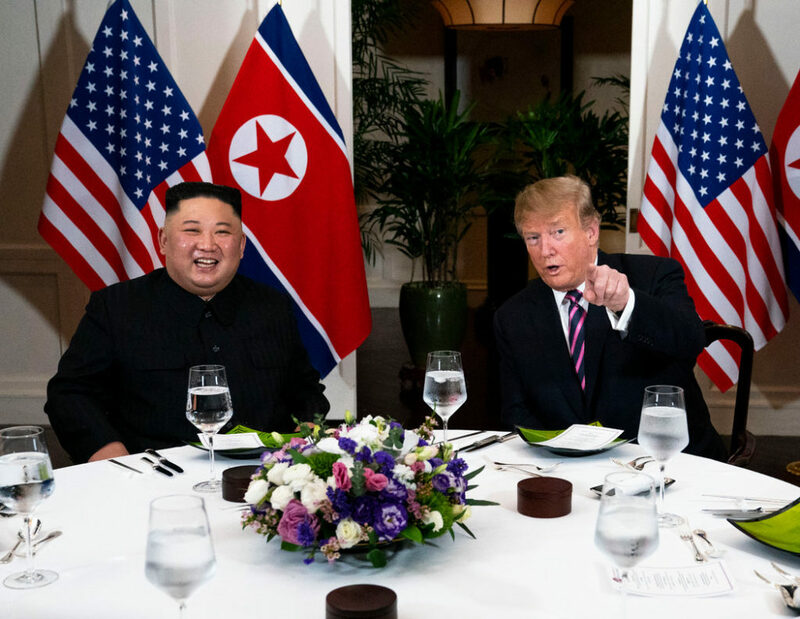 US' negotiating position is in disarray ahead of the summit with North Korea Read more Kim arrived on Tuesday at the station in the Vietnamese town of Dong Dang after crossing into China on Saturday thousands of kilometers further north at the city of Dandong. Vietnamese officials opened hands to receive him at the station with a special red carpet treatment, maximum security and guard of honour, while the North Korean and Vietnamese flags are flying. Kim was seen leaving the train in Dong Dang and getting into a Mercedes Benz for the 170km (105-mile) journey to the capital, Hanoi. 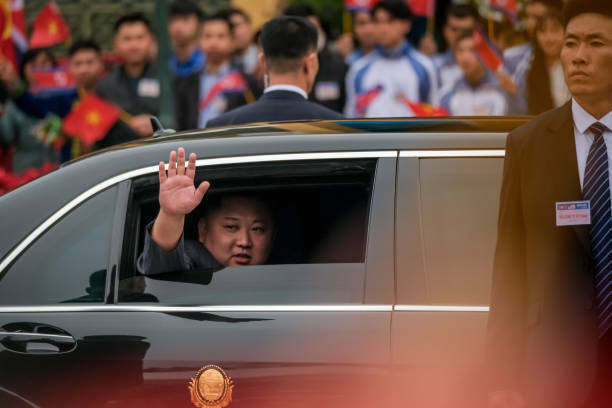 Kim Jong-un waves from his car after arriving by train at Dong Dang railway station near the border with China on 26 February 2019 in Vietnam ahead of the summit.Photograph: Linh Pham. He waved to young people lining the street as the car set off, flanked by about a dozen bodyguards running alongside. There is no real expectation the second meeting will bring a final deal on ridding North Korea of nuclear weapons that threaten the US, but there are some hopes it could lead to a declaration that the 1950-53 Korean War is at last formally over. The world leaders will be joined US secretary of state Mike Pompeo, who also arrived on Tuesday morning. Trump and Kim will then hold a series of official meetings on Thursday. Trump, who lands in Vietnam late on Tuesday, will have meetings with the host country’s president and prime minister on Wednesday before seeing Kim. Before leaving Washington on Monday, Trump tweeted that he was “Looking forward to a very productive summit.”He earlier told US governors that “I think we’ll have a very tremendous summit.” His upbeat assessment contrasts with earlier comments that the US will be “happy” if North Korea simply agrees to continue its moratorium on nuclear and missile testing. The US president’s remarks on Sunday night represented a lowering of already modest expectations for the second meeting. Trump once warned that North Korea’s arsenal posed such a threat to humanity that he may have no choice but to rain “fire and fury” on the rogue nation, yet last week he declared that he was in “no rush” for Pyongyang to prove it was abandoning its weapons. Trump appears to be holding out economic progress for North Korea as a potential reward, saying it will become an “economic powerhouse” in the event of complete denuclearisation. Trump and Kim first met last June in Singapore, a summit that yielded powerful images but few concrete steps for North Korea’s denuclearisation. A coal dredger transfers coal from a storage area onto a conveyor at the Sahiwal coal power plant, owned by Huaneng Shandong Rui Group. Photo: Asad Zaidi/Getty Images. 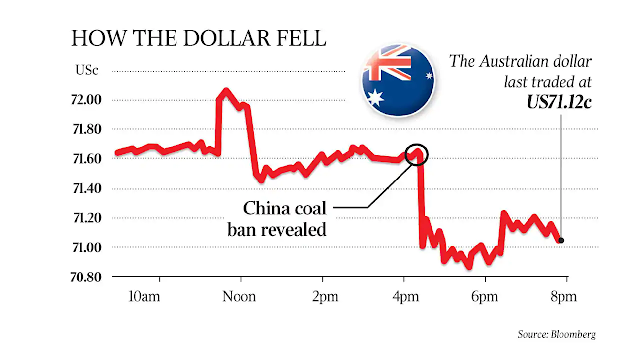 China has banned Australian ­thermal coal exports from ­entering five ports, in a provoc­ative strike at the nation’s top expor­t earner, sending the ­dollar into a dive. Trade Minister Simon Birmingham last night ordered a ­urgent investigation by Australia’s ambassador in Beijing, Jan Adams. Security experts warned that the indefinite halt on Australian coal exports at the large northern port of Dalian and four nearby ports could be linked to recent diplo­matic tensions over the ban on Chinese technology company ­Huawei and investigations into cyber hacking. The dollar tumbled as news of the ban emerged, falling more than 1 percent yesterday to a low of US70.86c. Chinese authorities began ­imposing the monthly restrictions on new coal imports from about mid-November. Ministry of Foreign­ Affairs spokesman Geng Shuang said China had been conducting a “risk monitoring analysis” program on imported coal to “safeguard the legitimate rights and interests of Chinese importers and to protect the environment.” Asked specifically if the review was targeted at coal from Aust­ralia, he repeated the prepared statement, refusing to elaborate on the nature of the review. 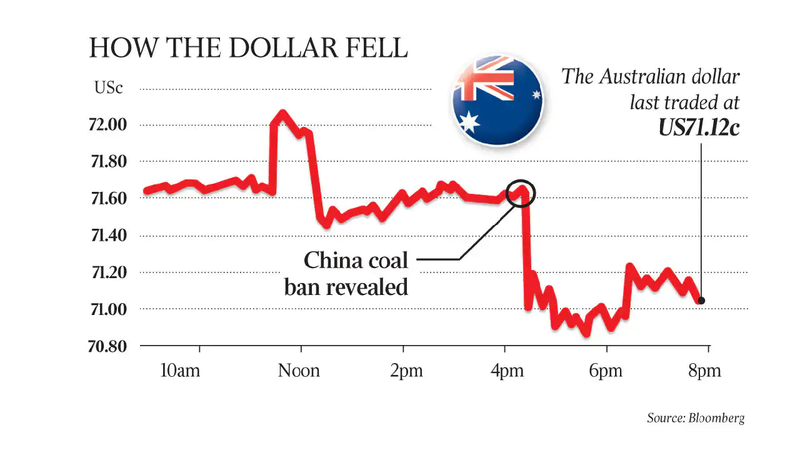 Aust­ralian ­officials conceded reports of China’s ban had already had “an impact” on currency markets. The Department of Foreign ­Affairs and Trade’s North Asia head Graham Fletcher told a ­Sen­ate estimates hearing last night: “I know this is a very serious issue … there are market implications in terms of currency. Today there is quite some confusion about what exactly is happening ... the uncertainty is having an impact.’’ The ban signals a dramatic step-up in action by Chinese authorities to target Australian coal after a backlog developed in the past few months of foreign coal waiting on bulk ships off ports in China awaiting customs clearance. The indefinite ban on imports involves five harbours overseen by Dalian customs — Dalian, Bayuquan, Panjin, Dandong and Bei­liang — and threatens to ratchet up trade tensions between the two countries. Australia last year ­exported about $2.1 billion worth of thermal coal to those five ports. 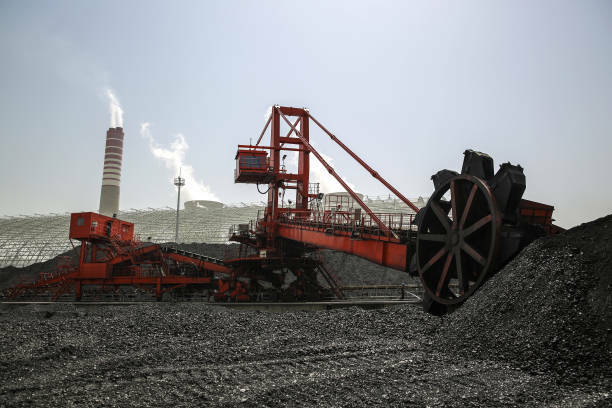 Chinese officials told the industry yesterday that, by the end of this year, coal import volumes to the five ports would be limited to 12 million tonnes. Coal from ­Russia and Indonesia would be ­allowed but other countries’ ­exports would be excluded. The Australian Strategic Policy ­Institute’s executive director, Peter Jennings, said there was a “pattern of behaviour” by China in hitting Australian trade when Beijing was unhappy with Australian government policy. “I think it is an example of the sort of bullying behaviour you’ll get from Beijing when it finds countries taking decisio­ns that it doesn’t like,” Mr Jennings said. “It also makes very clear that there is no separation between Chinese business and Chinese politics. “So a business reversal can be addressed by political action. I think we are probably getting a little­ bit of that, which is really just a way of China saying: ‘You guys be careful, because we can do you damage if we choose to do that.’ ” Mr Jennings said such action, also evident during last year’s introduction of foreign-interference laws, tended to stay “below the radar”, and never really developed into “full-on economic coercion”. Senator Birmingham said ­reports of the ban were unconfirmed and unsourced but he had asked Ms Adams to “urgently clarify­ their veracity”. “We continue to engage closely with industry on matters of market access,” he said. “I met with the Minerals Council of Australia this week to discuss market access ­issues and our related represent­ations to Chinese authorities. “China is a valued partner of Australia and we trust that our free-trade agreement commitments to each other will continue to be ­honoured.” DFAT officials played down any diplomatic concerns. China imported 271 million tonnes of coal from January to ­November last year — running at 9.3 percent above the same period in 2017 and outstripping the total of 270 million tonnes imported for the whole of 2017. Asked about the state of China-Australia relations, Mr Geng said China hoped Australia would work with it “on the basis of mutual­ respect for mutual gain to ­develop bilateral relations”. Asked about allegations that Chinese actors had been behind the cyber attacks on the Australian parliament, he repeated earlier statements made by the ministry this week, saying that people should be careful about making unsubstantiated accusations of cyber hacking. He called on sections of the media in Australia to “stop tar­n­ishing China’s reputation” by ­accusing it of cyber hacking in Australia. He said cyberspace was filled with “multiple actors whose ­behaviours are difficult to trace”. An importer said last night: “The coal import business is very vulnerable to China’s relations with other countries, but we can’t do anything about it.’’ A leading Chinese newspaper added to tensions after linking the coal issue to Australia’s ban on Huawei supplying equipment for the 5G network. “Can’t even sell coal to China?” the newspaper Cankaoxiaoxi wrote yesterday. “Australia can’t stand it any longer.” A populist paper published by Chinese news agency Xinhua,­Cankaoxiaoxi pointed out that Australia was one of the first countries to follow calls by the US to ban Huawei. It quoted Chinese academic Wang Shuo, the deputy ­director of the European Study Centre at the China ­Institute of Contemporary International Relations, an official think tank in Beijing, as saying that relations ­between countries needed to be based on mutual trust. He said that when countries from the Five Eyes intelligence-sharing group, including Aust­ralia, banned Huawei they should have been aware that it could have broader implications for the relationsh­ip. “Reality will help these countries to think over how to calculate political and economic loss and gain,” he said. 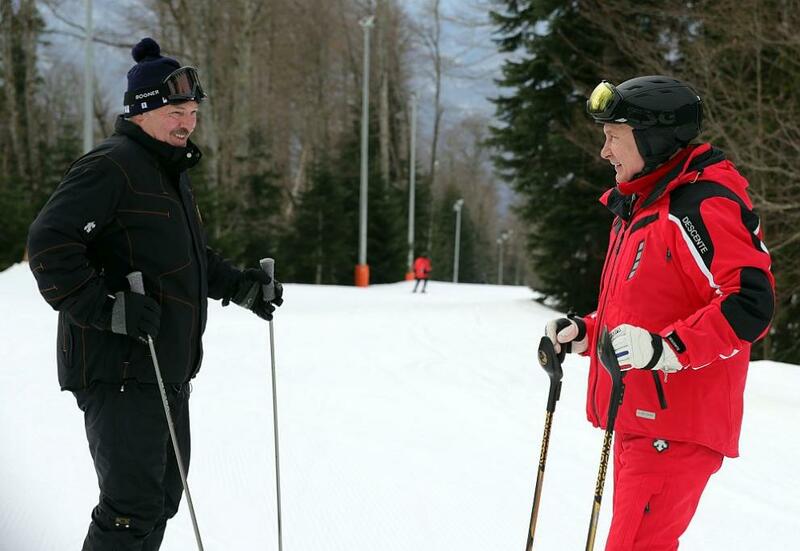 Russian President Vladimir Putin and Belarus Lukashenka and Putin discussed vodka and snack during ski at the Gazprom Mountain Resort (Laura) in Sochi, Russia on 14 February 2019/ AFP. 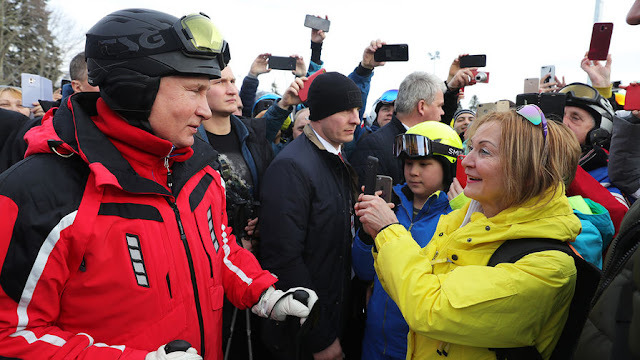 President Putin has once again demonstrated his health "macho temperament" by inviting his ally President Alexander Lukashenko of Belarus for skiing at Gazprom Mountain Resort (Laura), a Black Sea resort situated in Sochi, Russia. 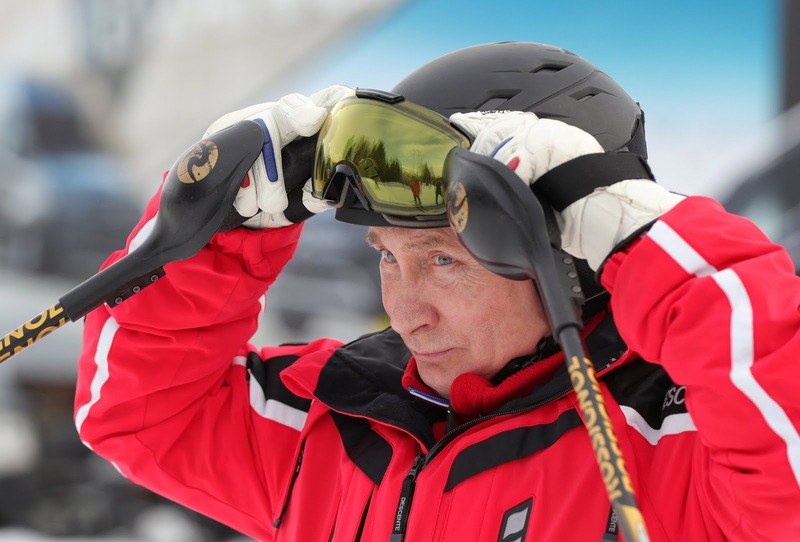 Mr. Putin who is now 66, and Lukashenko, 64, have been in rapport talks about Vodka and Snacks in the morning while heading to the local ski resort that took place in the afternoon. President Putin wearing a black helmet and a red ski suit and his courtpart Lukasheko put on some black ski suit and bonnet on the head. They came down with 1 km haulage slope in a flexible posture. Putin has been revealing the 'macho temperament' from fishing, hunting, shooting as well as sports such as ice hockey, horse riding and judo. Putin he also received eight honors from the International Judo Federation. 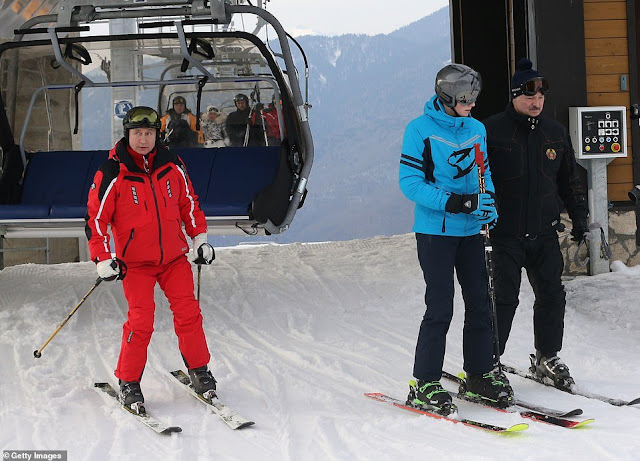 In the image, Alexander Lukashenko (left), president of Belarus, and Vladimir Putin, president of Russia preparing to ski at Gazprom Mountain Resort gives a break from a meeting at Kremlin. They both sat on a chairlift at the Gazprom Mountain Resort, which belongs to the Russian gas giant, and is located a few kilometers from the competition sites of the 2014 Sochi Olympic Games. Both two countries have shown some differences in several bilateral issues, such as taxation. So, the special meeting has arranged to fix the misunderstood between two allies. 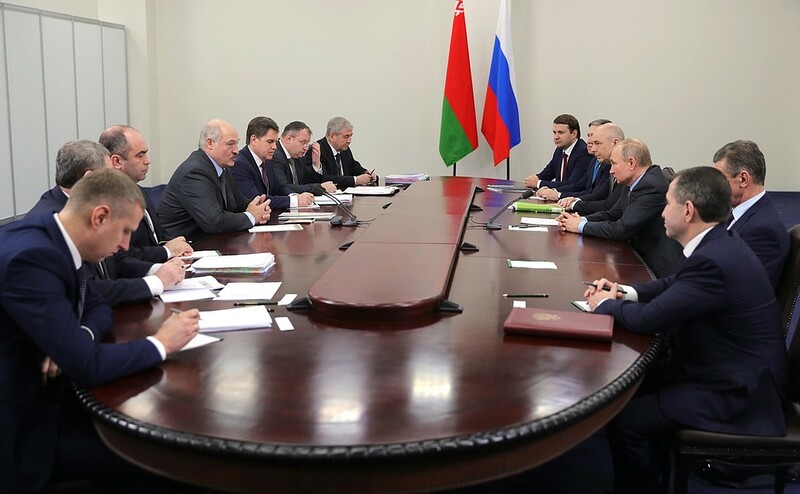 The purpose of invitation the Belarus's leader was to discuss the main issues on the bilateral agenda and also prospects for the development of the Eurasian integration processes. 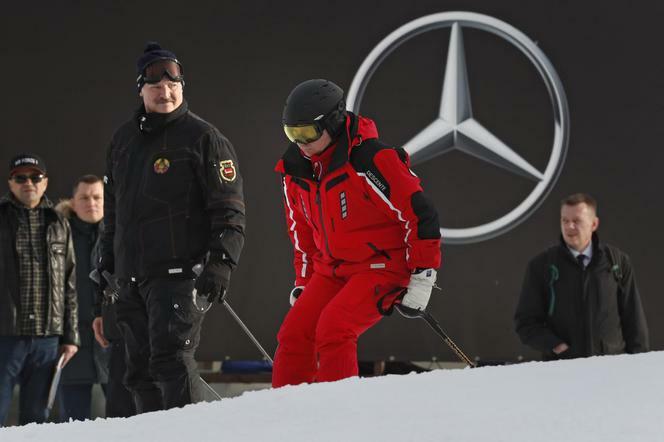 Later that day, the President and his Belarusian counterpart took a break from negotiations and went skiing at an alpine ski resort. On 15 February, Russia and Belarus will meet with their ministers of education, culture and sport to discuss practical proposals for the further development of the cultural and humanitarian cooperation between the two countries. In the picture, a woman takes a picture of Russian President Vladimir Putin during the skiing. Russian President Vladimir Putin: Said ''we are delighted to see you, this time in Sochi. As agreed, we will have an informal conversation. We will have the opportunity to get together and talk today, tomorrow and the day after tomorrow. I hope you will get the chance to relax a little, at least for a few hours. We have an extensive program for today and the next two days. To begin with, I would like to reiterate with satisfaction that our relations are getting stronger. Russia remains Belarus’ largest trade and economic partner and accounts for over 49 percent of the republic's trade. Our financial relations are going from strength to strength as well. A fairly large amount of state loans – over 6 billion plus 58 billion rubles and six EAEU Fund transactions totaling $1.6 billion – was granted to Belarus over recent years. This is the third meeting between the two presidents from December 25 onwards to settle the controversy over duties on oil and gas. The main problem in Russian-Belarusian relations is the well-known Russian "fiscal maneuver", under which Moscow will eliminate by 2024 the discount to tariffs on oil exports to Belarus, which is currently 30%. In this regard, I would like to note that Belarus is financially responsible when it comes to fulfilling its obligations which makes it possible for us to operate major projects, including the construction of a nuclear power plant, which is nearing completion. This allows us to expand purely commercial relations in various fields, including agricultural produce which accounts for over 34 percent of Belarus’ total exports to Russia. I am aware that we occasionally go through rough patches and complications when it comes to our relations but, as it should be between friends, I hope these issues will be resolved the same way they were resolved before. Of course, energy is one of the critical areas. The volumes of hydrocarbon supplies, both oil and gas, will remain at the level that we agreed upon. I am aware that our colleagues – Deputy Prime Minister Dmitry Kozak and his Belarusian counterpart – meet regularly. Their most recent meeting was in late 2018. They are working to coordinate the positions that need coordination. Of course, our cooperation in the sphere of international relations and the situation in the region is important. For us, Belarus is a critical strategic partner and an ally, and it is important for me to compare notes with the President of Belarus on these matters, including, by the way, integration within the post-Soviet space. We are very pleased to see you. Welcome! Belarus's President Alexander Lukashenko with delegates had a meeting with Vladimir at the Bocharov Ruchei residence in Sochi. Belarusian leader is in Russia on a 3-day working visit/AFP. President of the Republic of Belarus Alexander Lukashenko: ''Mr President, first, thank you for the invitation, as we sometimes get bogged down in our own problems and fail to see things from the proper perspective. You were correct when you said that we can use an hour or two to take a breather. I took advantage of it this morning. Thank you for getting the ski runs in good condition''. The people who joined skiing with me are quite happy. So, we are already familiar with the Sochi trails. For me, this is home. As I was riding along the new road late last night, I thought back to that difficult, terrible Soviet-made road that we used and were scared to look down. Today, the resort and the area have changed beyond recognition. I am glad that Belarusians made this place their home at one point. We operate two hotels, mansions, here that are packed with tourists, and have so far managed to do so without a loss. So, thank you for the invitation and the programme outlined by our Russian colleagues. Indeed, we have the opportunity to discuss not just the economy, but cultural matters as well. Lukasheko added that frankly, speaking we rarely talk only on the Union State agenda, but we will invite the ministers to Sirius at the level of two presidents. We are creating a children's technology park; I told you about it when you were planning Sirius, and now we have a technology park. Therefore, this is relevant. Thank you for the invitation to talk to our colleagues, who will visit you tomorrow, on important international issues. You should know that in the context of international relations, the relations between Belarus and Russia are stable, no matter what anyone writes or says. I do not need to convince you of that: You and I know this well. As for the support of our economy, I am also grateful to you. I often tell the Russian ambassador that Belarusian economy works as the final processing part of the Russian economy. We buy 60–70 percent of commodities and components for our main engineering products and oil refining in Russia. Therefore, this is our common economy, and supporting us, you actually support approximately 35–40 million people, together with their families, who work at Russian enterprises that supply products to Belarus. Therefore, if someone in Russia or Belarus does not understand this, I think they will understand it soon. Of course, there are always questions and there will be more, but we have always found solutions to all issues. I do not think this is a big problem for us. As for food, I was surprised to hear this – because it’s the same in Belarus: poor-quality water and food – although both Russia and Belarus have both water and food – three-quarters of the population suffer and die from poor-quality food and water. Both our countries have done research, and we have every opportunity to provide quality food to the people. Therefore, whatever conflicts or scandals may happen, you must remember that we will never deliver bad vodka or a bad snack to Russians. You must understand this clearly. Thank you again, Mr President, for the invitation. I think that our meetings here over these few days will be beneficial for the Belarusian-Russian relations. He concluded.